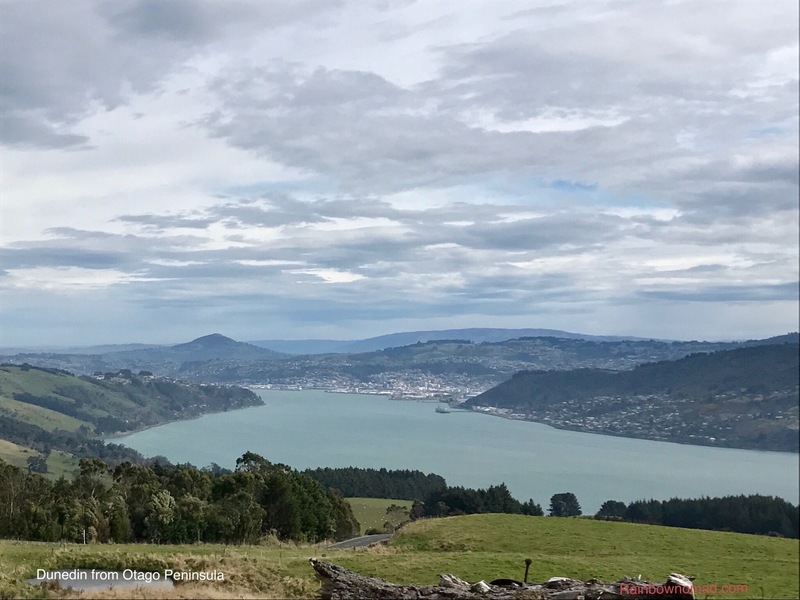 The day we were scheduled to arrive in Dunedin, we flew out of Stewart Island with a packed aircraft of 8 passengers, a pilot and trainee, who flew the plane. We landed uneventfully in Invercargill, where it was wet and squally. Our plan was to travel along the Southern Scenic Route to Dunedin via the Catlin Mountains. 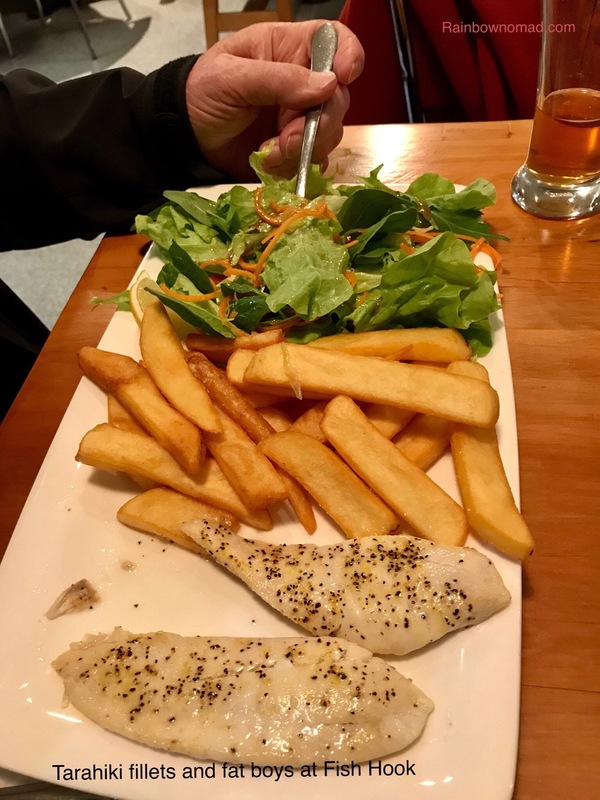 We had heard and read glowing reports of the Catlin Coast but it being off season and a Tuesday, every cafe along the way was closed and the weather closing in did not augur well for coastal scenery. The Catlin National Park however was worth the trip, with its beech forests and lichen. The weather cleared as we approached Dunedin, the Celtic name for Edinburgh. 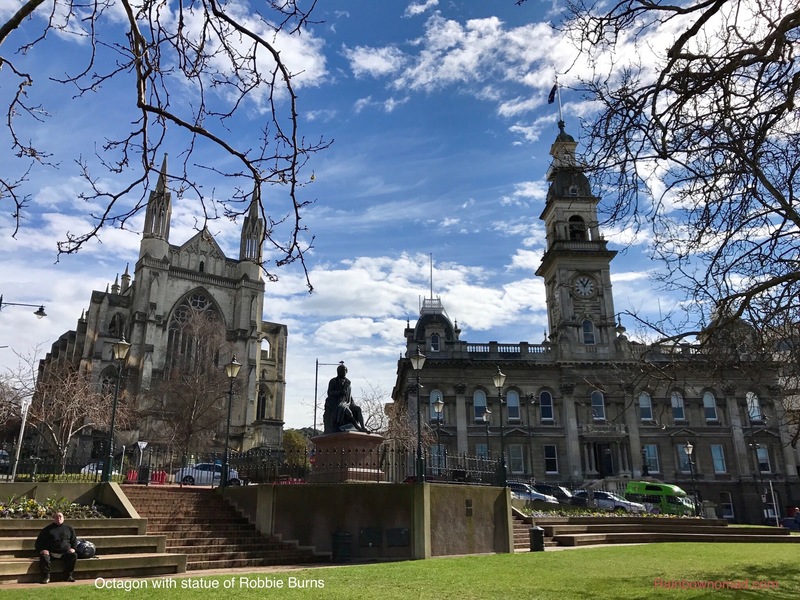 Dunedin or Otepoti as it was called by the original Maori settlers in the 12th century, was rich in coastal fish, birds and inland the flightless Moa and precious greenstone. But in the 19th century, European whalers also used the safe harbour, until finally Scottish settlers arrived in 1848 to establish a Free Church settlement. The Presbyterians brought the Scottish love of education, establishing the first University in New Zealand and high schools. The city centre or Octagon even features a statue of Robbie Burns. Dunedin became the first UNESCO City of Literature in 2014, however the early days of whaling and gold mining give the city a rakish air. 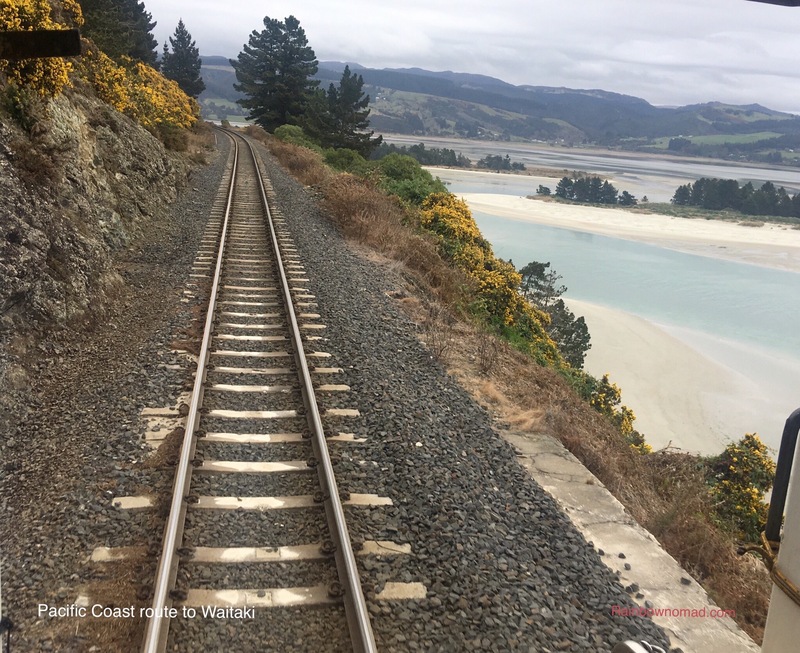 We were booked on the Taieri Gorge Railway tour the day after our arrival but on presenting ourselves to the booking office we were told the gorge west of Dunedin had had several land slips due to recent torrential rains and the train was not running. We could however take the Seaside Rail journey along the coast the following day. 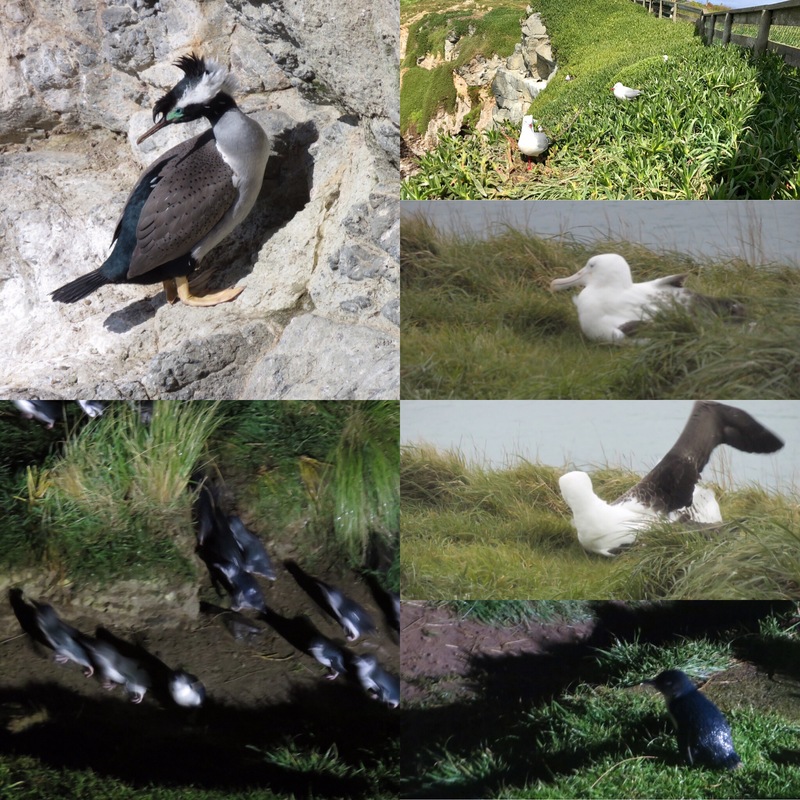 A couple of frantic phone calls had our booking for the Albatross centre on the Otago Peninsula rearranged and we set off to drive to the Taiaroa Headland about 20 km east of Dunedin. The road follows the harbour but can divert over the headland to Larnack Castle, a stately home with beautiful European gardens. We admired the view at the top of the ridge but continued on to the famous Albatross Centre. Our guide Driess, a Belgian photographer, whose Spanish wife is doing a PhD at Otago University on climate change, gave us a personal guided tour of the Albatross hide, where we saw young Northern Royal Albatross testing their wings ready to fledge or fly. The chicks are nurtured on the headland for about 8 months where they fatten to about 13kg, losing about 5 kg in the last month in preparation for leaving their nests. They then fly nonstop around the 40-60th parallel south for 18-24 months! Before returning to the same headland to mate. The Northern Royal Albatross are only found on the Otago Peninsula and the Chatham Islands off Christchurch and are considered endangered. Driess also took us on a tour of the fortress, under the headland which was set up in 1880’s to deflect a potential Russian invasion! England was at war with Russia over Afghanistan and Russian ships had been sighted in Auckland Harbour. A huge Disappearing Gun in working order can emerge out of the headland grasses and hurl cannon out into the rough Southern Pacific Ocean. The highlight of our trip was the emergence of the Little Blue Penguins from the sea to their nesting burrows on the beach below the Albatross Centre at dusk. We saw 51 penguins emerge out of the waves, cresting the foam with their little white chests and hurry up the beach, like determined little bodies home from a busy day at the office – fishing. Absolutely wonderful. 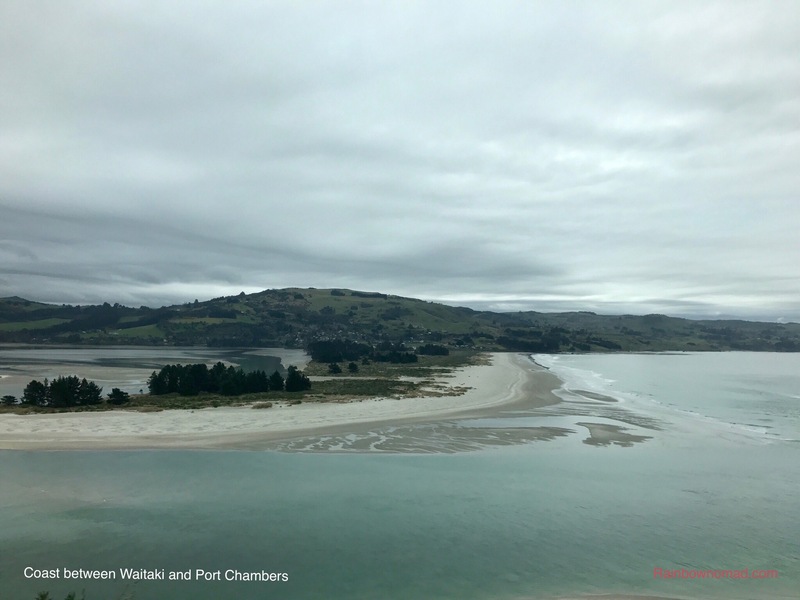 Our next day was spent taking the rather sedate rail journey up the coast from Dunedin via Port Chambers to Waitati and return. At Waitati we needed to wait while the engine went on a loop and returned to latch onto the back of the train. 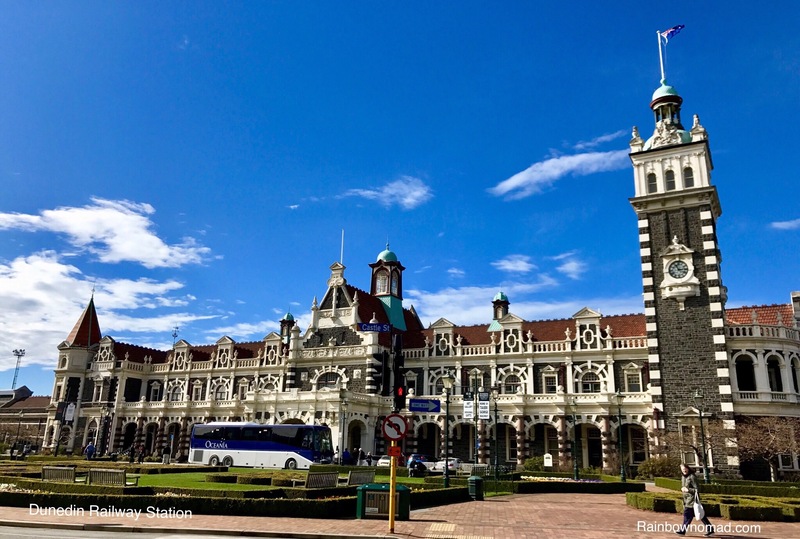 The Dunedin Railway Station is an Art Deco highlight with its bluestone and limestone exterior and stained glass interior. I was reminded of Janet Frame arriving there from her little village to take up her fraught studies at the University, so well described in An Angel at my Table. The station must have been very daunting! After a final dinner of local fish and chips at Fish Hook on George St, we set off the next day up the Tairi River Gorge by car to explore the Central Otago Plateau. This is a wild place graced with unusual geological formations, holding gold deposits, which were mined in the 1860’s. We followed the Central Otago Rail Trail for most of the way stopping in the quirky Art Deco themed town of Ranfurly. 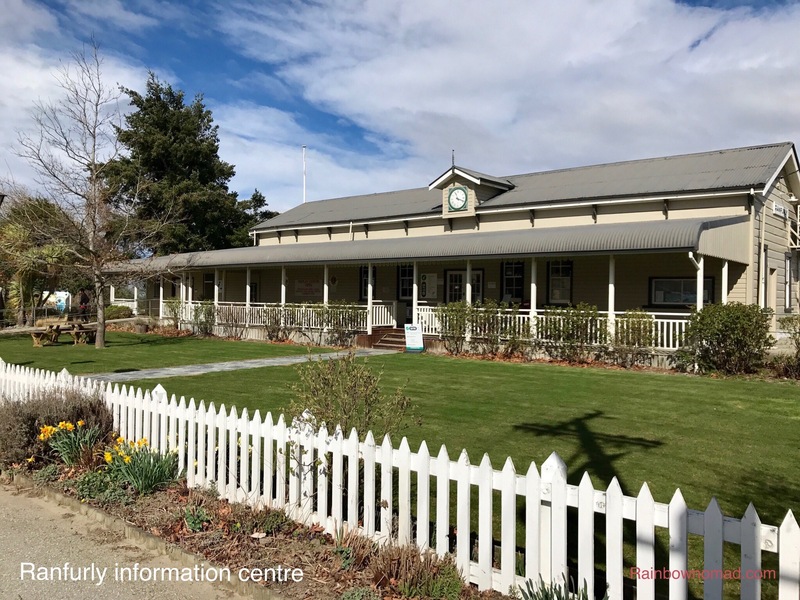 The information centre provided a historical record of the early mining history and the construction of the railway from Dunedin to Cromwell via Clyde between 1879 and 1923. 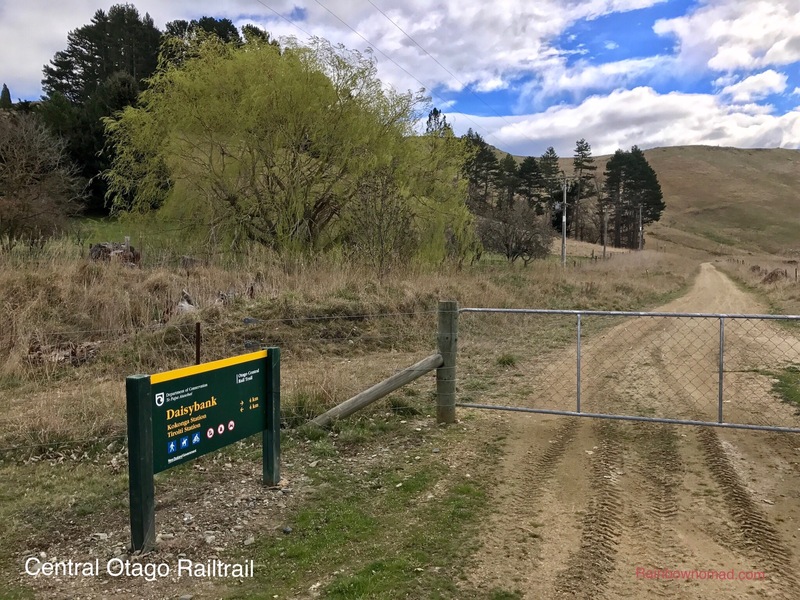 The railway only goes as far as Middlemarch today winding through the aforementioned Taieri Gorge and the bike trail runs 151km from Middlemarch to Clyde. 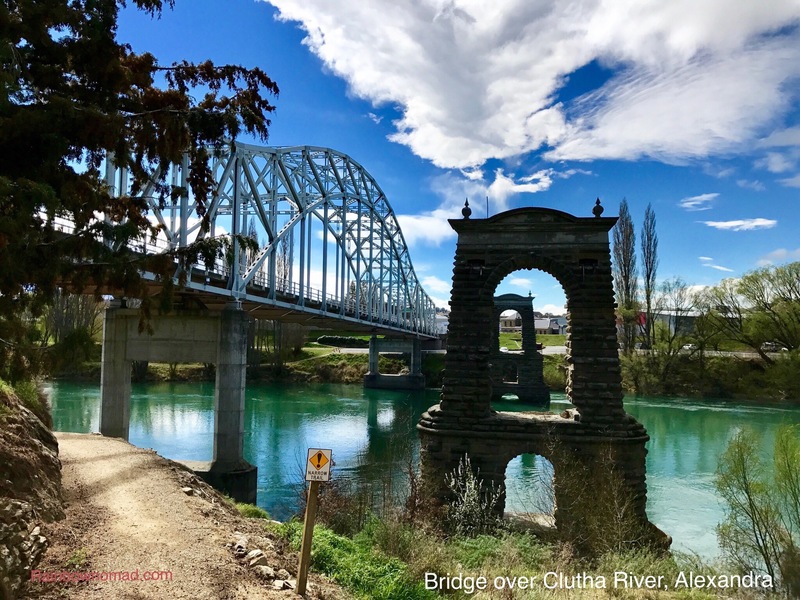 We bypassed Clyde but stopped in Alexandra for lunch by the junction of the Clutha and Manuherikia river, by the bridge originally built in the late 19th century, largely by Chinese mining labour. The junction was called Jewellers Point – the place where miners had their takings valued. Eleanor Catton’s Booker prize winning novel The Luminaries, captures the hard, wild life these people led! 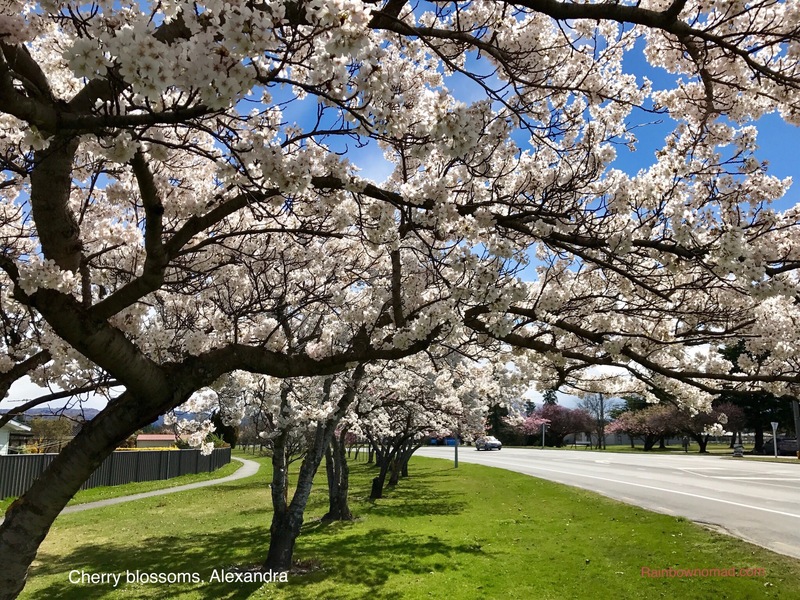 Alexandra was filled with peach, apple and cherry blossom trees in full spring bloom. A perfect entry back into the wilds of Fiordland.